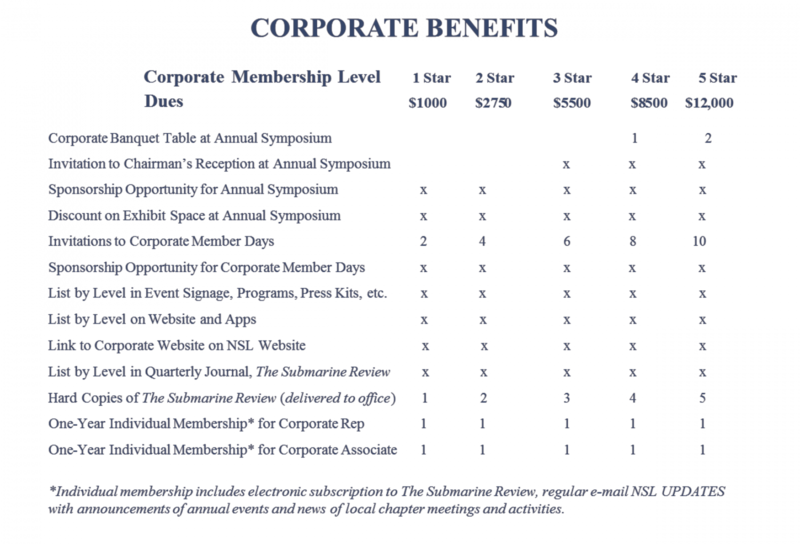 Why should A Company or academic Institution join the NSL? BENEFITS AND Rates – What level of membership should I choose? Corporate memberships are for one-year. There are five different levels of membership. Every corporate member designates a corporate representative and corporate associate who are the primary points of contact and who receive a one-year online membership. Click to complete the join/renew form and pay by credit card, or print the form and mail a check to NSL, 1737 King Street, Suite 600, Alexandria, VA 22314. If payment via ACH or direct debit is desired, send an email to corpmem@navalsubleague.org.